What another GREAT Thread and posts! Super valuable information! THANK YOU ALL for sharing your art! Having read the water files with interest, I wonder if anyone has actually produced an underwater scene? I found a tut, but it stopped me dead when it said to turn a plane upside down. What was he on about? How does one turn a plane upside down in TG3? I had several goes at this but nothing much came of it. 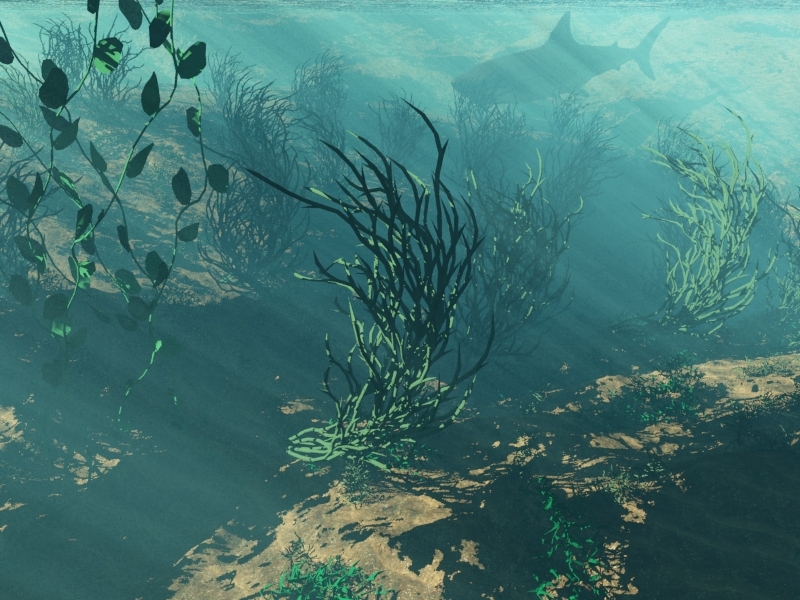 I have no trouble producing underwater scenes in other 3D progs, but TG3 seems to have a mind of its own in this direction. With more search you could get more results probably. Thanks for pointing me in the right direction, guys. I used the Tgd and found that there was no water involved, just clouds!!!! Surprise, surprise! Anyway, I did a quickie and this is what I got. Now I can start from scratch, adding things like bubbles, godrays and other bits and bobs until it starts to look like a picture. Thanks again. The idea about the upside down plane was to get waves seen from below. I don't know if that still works... but it did (this is an oldie). Yeah, see what you mean. The depth my boat's at, I doubt whether one would see the undersurface. However, by using caustics, I'm sure the light power will break up adequately anyway and give a few rays. We'll see. Usually the water has to be a bit shallow to see caustic effects on the sea floor. Incidentally, there would be no fish anywhere near my submarine due to engine vibration, so they're out. When i use the file i cant find any ripples. Anybody knows where they are? There is a constant called Centre in the droplet clip. Copy valid coordinates from your Preview window and put them in the Centre constant to define the center point of the ripples. The droplet clip has its own large Lake defined. Copy valid coordinates from your Preview window to the clips Lake coordinates to define where you want the center of the lake and give it a reasonable size.